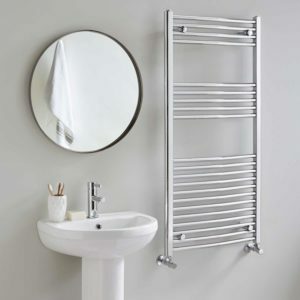 This stylish modern electric heated towel rail is lightweight and doesn’t require connecting to a central heating system, making it easy and convenient to position. It’s unique shape creates the perfect focal point in any bathroom or cloakroom. 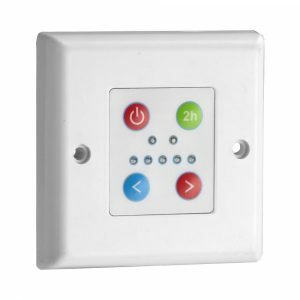 It’s size makes it perfect for en-suite bathrooms, downstairs toilets or even in caravans and mobile homes. 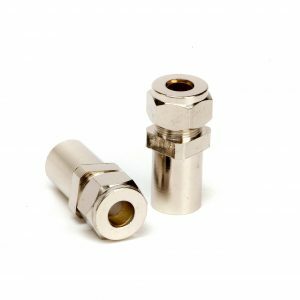 Made from 201 grade stainless steel and polished to give a luxury finish, the rails are protected against rust and surface discolouration. 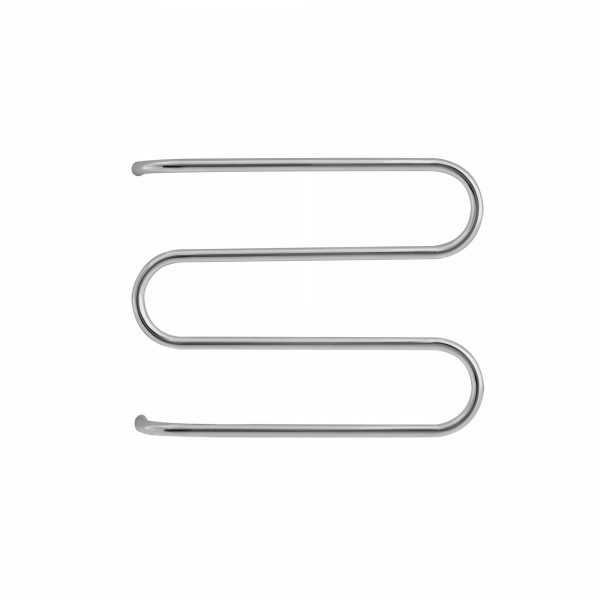 Dry Electric towel rails bring a new and efficient way to heat your bathroom. 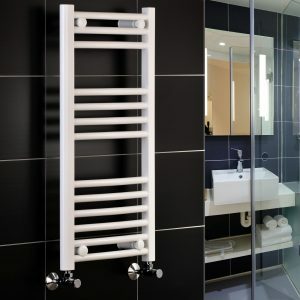 Using a cord heating element which is threaded through the bars of the towel rail, the air inside the rail is heated which in turn provides an even heat across the metal surface of the towel warmer. 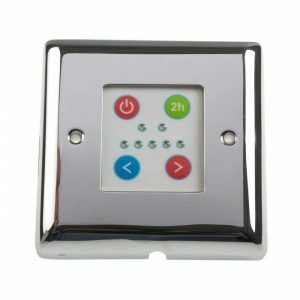 Running costs are kept low as this heating option can use an element as low as 60 watts which also makes our range of dry electric towel rails suitable for use in mobile homes and caravans too. 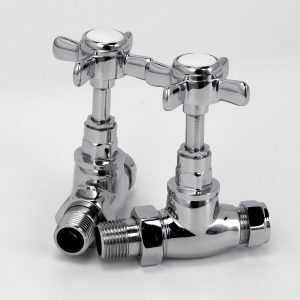 Dry electric towel rails cost approximately 50% less to run than a similar sized liquid filled rail. 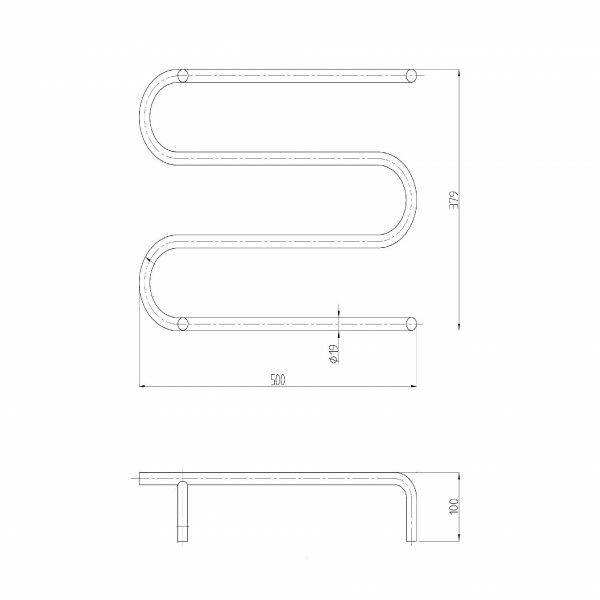 Heating element: 220-240v 50Hz electrical cord element, fitted. Requires hard wiring.